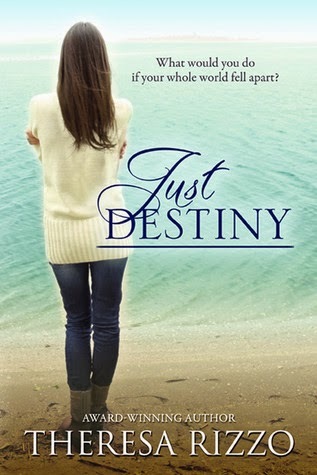 I was drawn to the cover of Just Destiny to begin with because I enjoyed the simplicity of it and yet once I started reading there was so much to this book. A complex story with many twists, the initial premise was quite appealing as well. It seemed like one of those stories that would just grab me and hold my attention until the very end. It pretty much did, though I suspect that I didn't give this book a higher rating because I didn't feel like the story was very plausible when it came right down to it. Initially I did enjoy the book quite a lot and really felt for Jenny and the terrible situation she found herself in. I could not imagine losing the one you care about the most and then facing additional adversity afterwards. I can only imagine just how much pain that would cause. I can say a positive point to this book was that early on I did find myself identifying with her and deeply so. Really I did want to like Just Destiny more because I feel like it had a strong start but somewhere midway, I feel like the story became somewhat unrealistic and I even found it frustrating at times. Maybe something like these events could be possible but it just didn't ring true to me. It was almost like I lost my faith in the honesty of Jenny's tale which was a definite minus. I am hopeful that Rizzo's next books will resonate more with me because I think she is a definite upcoming talent!